ST. LOUIS — Kevin Shattenkirk’s assist streak ended at seven games Saturday, but the St. Louis Blue defenseman had no problem with that. 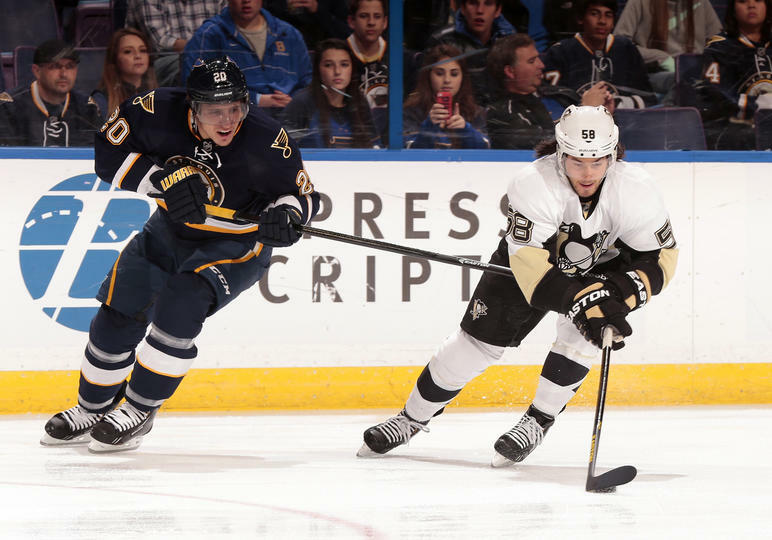 Shattenkirk’s wrist shot from the right point found its way into the back of the net with 9:08 remaining, and the St. Louis Blues defeated the Pittsburgh Penguins 2-1 at Scottrade Center. Shattenkirk, who had eight assists in the past seven games, took a pass from Barret Jackman and fired a shot past a screened Marc-Andre Fleury that the Penguins goalie got a piece of but squirted into the net. Ryan Reaves scored for the Blues, and Jaroslav Halak stopped 19 shots to improve to 9-2-1; the Blues have won six of seven. Their 11 wins in 15 games (11-2-2) is the first time since the 2003-04 season they’ve accomplished that feat and ties the best start in franchise history. 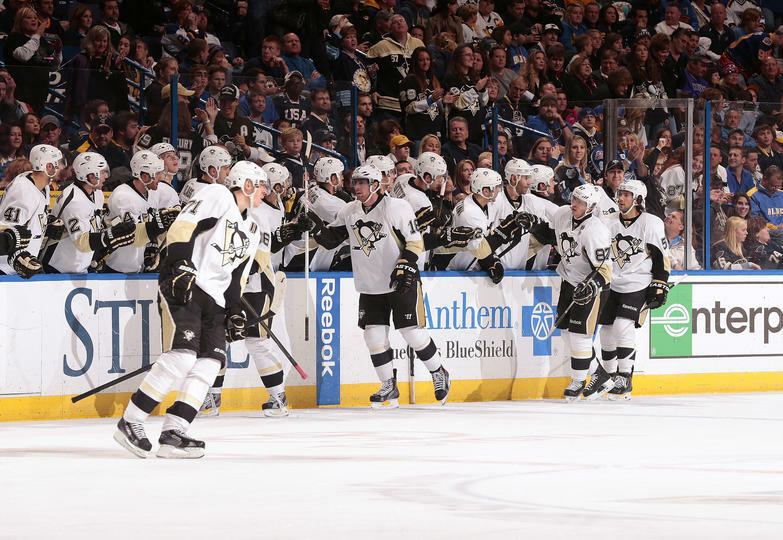 The victory was the Blues’ first in regulation against the Penguins since winning 4-1 Dec. 19, 2006 in Pittsburgh. Jussi Jokinen scored for the Penguins, and Marc-Andre Fleury stopped 30 shots; the Penguins have dropped two straight after a four-game winning streak. The 20 shots were the fewest for Pittsburgh this season. 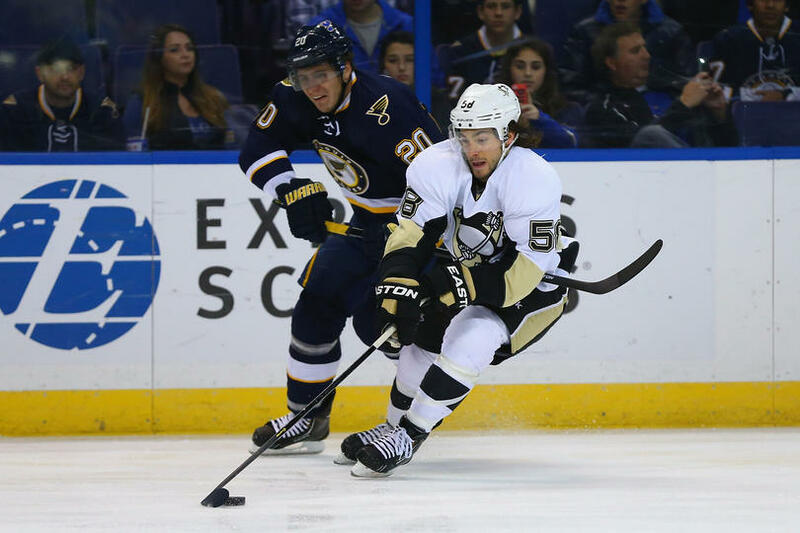 New article featuring Kris Letang – Looking forward to next year! Next story Kris Letang goes shopping for Project Bundle-Up!